Searching for Scruggs is a great way to learn more about the Scruggs family past and present. 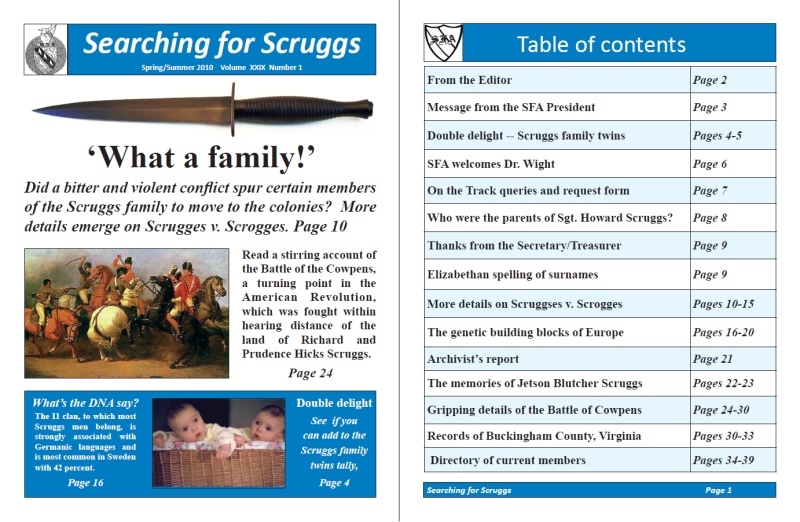 Searching for Scruggs is a semi-annual publication of the Scruggs Family Association and welcomes contributions and queries from members and non-members relating to the history and genealogy of Scruggs family members, both past and present. While the editor makes every effort to insure the accuracy of material appearing in Searching for Scruggs, it is the obligation of the contributors to fully document all sources. Neither the Scruggs Family Association, Searching for Scruggs, nor the editor can assume responsibility for errors on the part of contributors. However, when mistakes are noted, corrections will appear in the following issue. The editor welcomes camera-ready material, but potential contributions may be sent in any form, including e-mail attachments. Material may be sent on diskette in most formats (Mircosoft Word is preferred) for either MAC or PC. The editor reserves the right to use submitted material at his discretion and in a manner best suited to the format of the newletter. 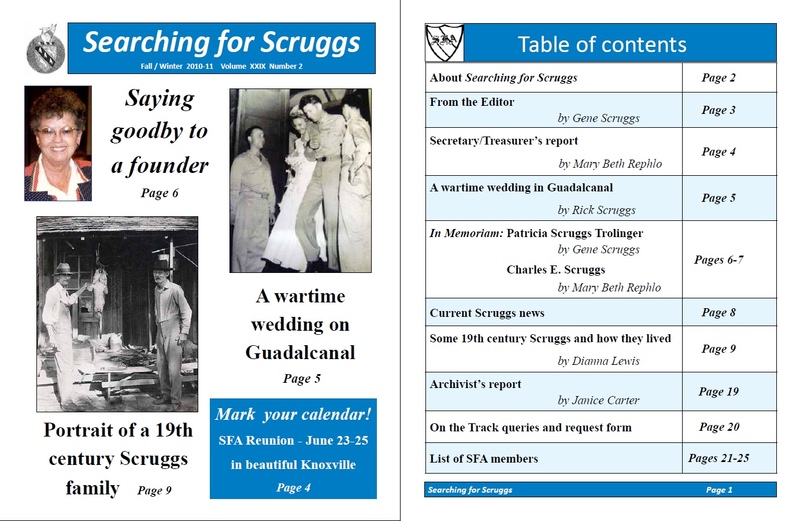 For prompt attention, all correspondence, changes of address, queries, and business pertaining to the publication of Searching for Scruggs should be sent directly to the editor at the address shown below. To exist our publication must have contributions from members. You probably have material in your possession that would interest others. Share that material by submitting it for printing in Searching. Join the ranks of the published! 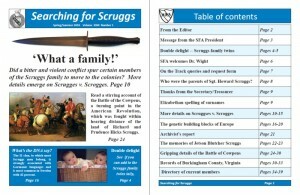 Selections from Searching for Scruggs presents 36 articles from the first 30 years of our family journal.